Hello everyone! Welcome to a very special blog hop! Can you believe there is only two weeks left of Sale A Bration!? Have you gotten everything you wanted? You better hurry because time is running out! I chose to show you two different SAB stamp sets today because I couldn't settle on just one! First, we have Pedal Pushers. 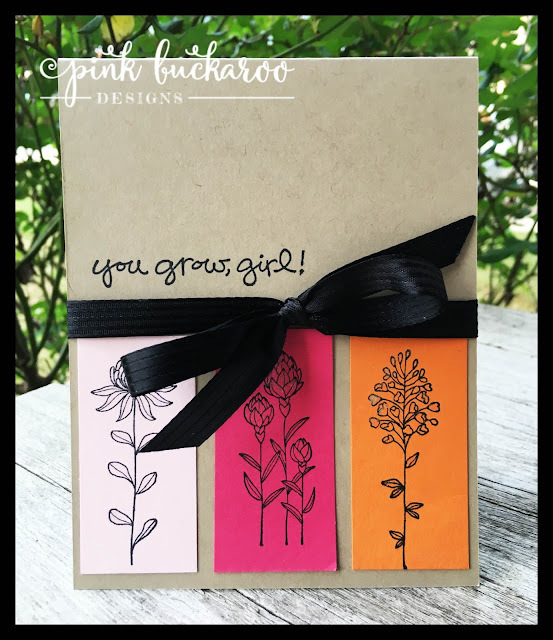 This stamp set came in half way through SAB and has been a HUGE hit! I would say I have probebly ordered more of this stamp set for my customers than any other over the last couple of months. I love it because it has all the cute little accessories you can stamp on the bike. 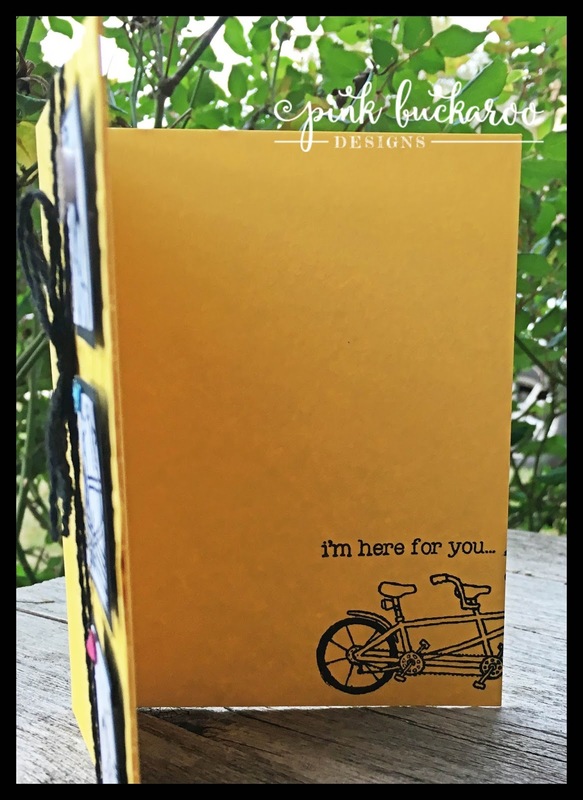 When I sat down to make this project, it reminded me of a card I did a very long time ago featuring the Motorcycle stamp. So, I CASED myself. You can see the original here. While I was looking for the Motorcycle card, I stumbled on another card I made many years ago, and I loved it! I decided to use it to inspire another new card featuring Flowering Fields. This has been another big hit from the Sale A Bration catalog. I didn't think I would love it, but I have! I colored over the blooms with a Wink of Stella brush, but it's hard to see. The sentiment stamp set is called Greatest Greetings and it's in the Occasions Catalog. Ok, so I hope you feel inspired! If you want to place another order before Sale A Bargain is over (And you are in the US! ), please check out my online store. You will be promoted at the end to add your free Sale A Bration choices. Now make sure you hop around the world and see what other beautiful creations the others have made! great idea to make these panels with the pedal pushers. love your cards! Oeh I like the black white and yellow and the way you applied a little color on the panels. OMG these cards are stunning... I'm using pedals pusher for the 2nd part of the blog hop and I'm looking forward to see what you are going to make :) There are beautiful projects in your blog. x Bibi from Scotland. Love the black & yellow! Super cute card! Love how you gave the basket dimension, super clever! Look how clever you are!! This is fantastic Erica. So super funky and fun too. Great to hop along with you today. Fabulous cards! So glad I could take part in this hop with you! LOVE LOVE LOVE this card! You made my day with your paper crafting talents! 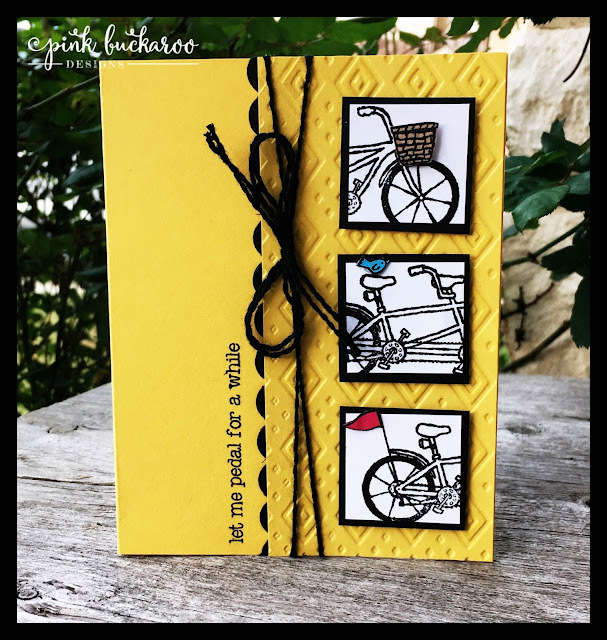 I love your card--the design, the vivid yellow with the black and white. TFS.